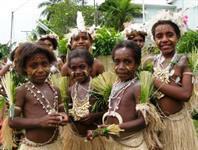 The annual Kenu and Kundu Festival is held on the second week on November each year in Alotau, Milne Bay Province. 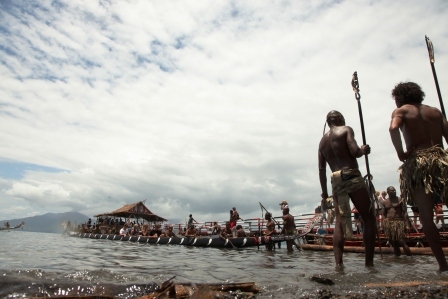 Canoes and kundu drums are a significant part of the lives of the people of Milne Bay, Papua New Guinea. The canoe and the kundu are widely used in traditional ceremonies and rituals in Milne Bay. The 'war canoes' are especially crafted from special woods under strict customs to derive the best results and ensure their use is a successful or victorious one. The Kenu and Kundu Festival was first held in Milne Bay in 2003. The canoes used in the festival are crafted the same way as the ancestors of the Milne Bay people built their own canoes many years ago.The colours and patterns reflect the tribe and the area the canoe comes from. Traditional dancing groups will be represented from all over the Milne Bay province, including Eastern parts of the Papuan Region - creating a rich variety of performances. The event usually takes place early November on an annual basis. Prizes are given to winning groups and the canoes are assembled a day earlier at Wagawaga Island, to form a convoy before sailing to Alotau for the official opening ceremony. Other activities include arts and craft displays, string band competitions and traditional and contemporary drama performances. One of Papua New Guinea’s most visited province, Madanghosts itsexciting Madang Festival celebration showcasing its many unique cultural groups.The Madang Festival is normally held during the first week of June in Madang’s coastal township which proudly shares the same name. Cultural groups representing the six districts of Madang, even those as far away as the famous Simbai people of the province’s interior highlands. Normally come together and performer during the Festival. Madang has a vibrant culture nurtured over many generations by friendly locals and a thriving tourism and hospitality industry. While taking in the cultural sights, sounds and colours of the Madang Festival, be sure to sample the other wonderful experiences Madang has on offer like diving, snorkeling, surfing, nature and history tours. Mt Hagen show is perhaps the most famous cultural show in Papua New Guinea, The Mount Hagen Show brings together sing-sing groups from all over the country in an amazing conglomeration of colour, beauty and culture. 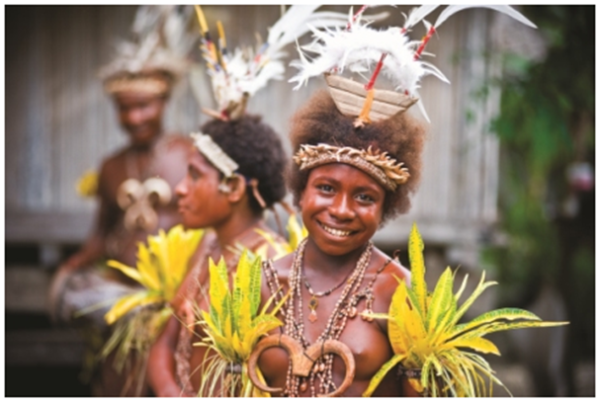 This 2015, the most exciting annual event in Lae - the Morobe Show, is held in October each year. The Morobe Show is hosted by the Morobe Provincial Agricultural Society and showcases the various agricultural, industrial and commercial features of the Morobe Province. The event also showcases the incredible cultural variety of Morobe, home to Papua New Guinea's second largest city of Lae. The city is home to a growing number of settlers from the neighboring regions of the Highlands, Momase and New Guinea Islands. Morobe Show has always followed the Goroka Show and Mt. Hagen Show - giving tourists and inter-provincial show-goers time to visit and experience each cultural event. 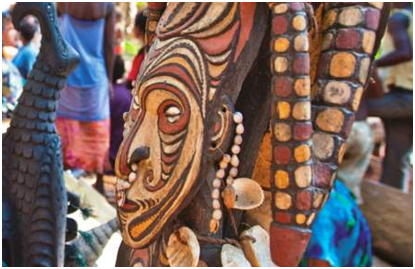 Visitors to the show can expect to see stunning exhibitions on Papua New Guinea culture, agriculture, horticulture, livestock, commercial businesses, NGO's, schools and institutions. Some of the highlights of the Morobe show over the years, have been motorbike jumping, traditional dress beauty pageants and cowboy-rodeo style events. 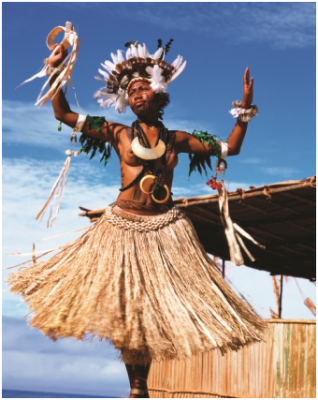 The HiriMoale Festival is held as part of the Independence celebration every September at Ela Beach, Port Moresby - the ancestral grounds of the Motuan people of Papua New Guinea. The Festival celebrates the epic voyages of the seafaring Motuans who journeyed to the Gulf Province on the famous iconic sea vessel - the 'lagatoi'. The lagatoi was a large sailing canoe with many hulls to store mainly clay pots which the Motuans made and traded with the people of the Gulf in exchange for sago. There were a variety of other traditional goods that were also exchanged during the famous Hiri trade. The Hiri trade route took many months to complete and was a very difficult journey for the Motuans and at times fraught with danger from storms and rough winds, especially for the return home as the cargo was much heavier. Motuan culture - from songs, dances and rituals reflect largely on the Hiri trade and cover celebration, lamentation and tributes to gods and ancestors. The Festival is not just a celebration and showcase of Motuan culture but involves other tribes whom the Motuans traded with throughout their history, which include the people of the Gulf, Mekeo, Hula and Koiari. The Hiri trading voyages forged friendship and lineal ties going back thousands of years. Much of this is evident today with the HiriMotu language, a vernacular understood by the Motuans and their south westerly trading partners. The HiriHanenamo contest is a popular attraction at the Festival, where young Motuan women vie to be crowned 'Hiri Queen' based on their knowledge and display of traditional Motuan culture. 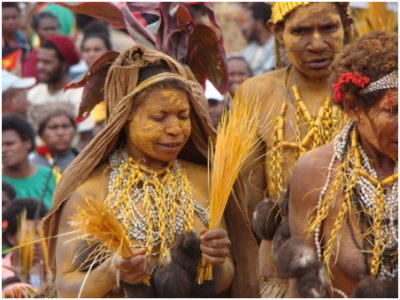 The Garamut-Mambu Festival celebrates the rich and vibrant cultures of the Momase region, which include the Papua New Guinea provinces of Madang, Morobe, East Sepik and West Sepik. The festival highlights the importance of the Garamut – a large traditional wide slit drum and the ‘mambu’ the Tok-pisin word for ‘bamboo’. The bamboo is a plant valued for its versatility in all parts of Momase life and culture, especially the making of traditional flutes – also referred to as ‘mambu’. These traditional instruments feature predominantly in many cultures of the Momase region and are observed in full festive fervour at the Garamut-Mambu Festival. Wewak town on the coast of the East Sepik province is normally the venue for the two daycultural event which is normally held during the first week of September each year. Mark this exciting event on your holiday calendars and prepare to experience the fascinating cultural displays of the various tribes of the Momase region displaying their unique traditional songs, rituals, danceperformances, arts and crafts. 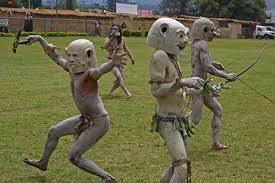 The ‘Goroka Show’ is a significant cultural event in the Highlands region ofPapua New Guinea (PNG). This 2015 the show is set for September 11th - 13th and aims to once more provide entertainment to the people of theEastern Highlands Province and visitors from Papua New Guinea and all across the world. 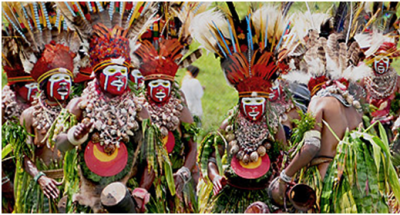 The Goroka Show is the most well-known tribal gathering and cultural event in PNG. It is held every year, during the weekend closest to Independence Day (16th September) in the town of Goroka. More than 100 tribes participate in the event performing extraordinary displays of traditional song, ritual and dance. The staging of the Goroka Show began in 1957 at the Independence Park, opposite the Goroka main market. The show was first introduced and organized by Australian patrol officers or 'kiaps'. Kiaps from each district built round houses typical of their districts where they displayed the various and unique cultures of the people living there. The kiaps brought in 'singsing' groups from surrounding areas. It created an entertaining weekend for everyone in the Province helping people forget their tribal differences. The show then was also a competition to see who was the best organized and administered district. The Goroka Show now offers a rare opportunity for travelers to experience the customs of over a hundred tribes that populate the Papua New Guinea Highlands and neighboring regions. Above: Traditional dancers from the Southern Highlands at the Goroka Show.